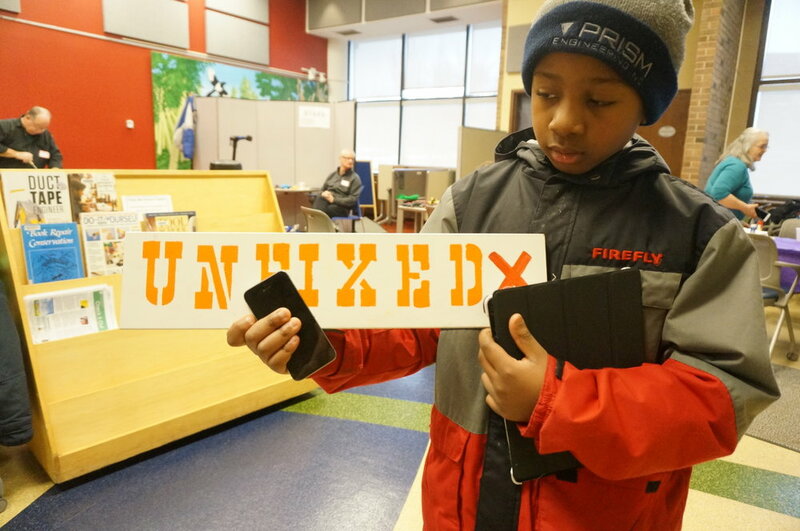 Fix it Cafes are free, but donations are appreciated as they keep the Tool Library and its programs running! 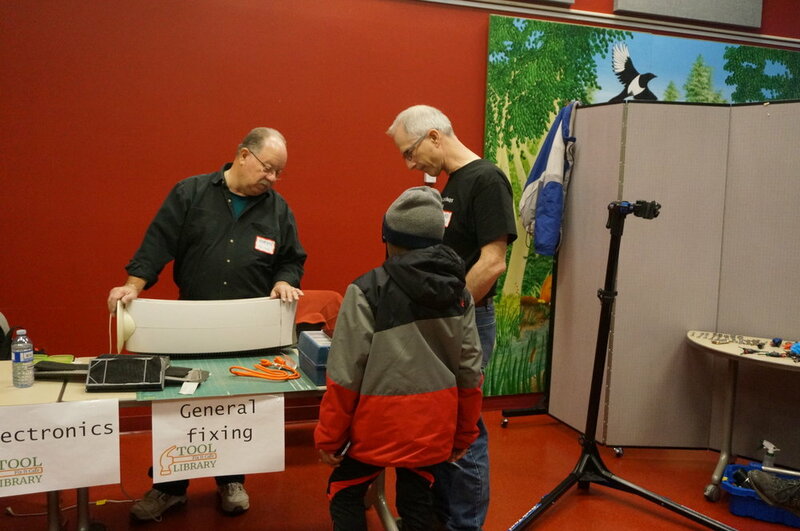 St. Albert Tool Library believes in sharing knowledge and resources and building community by hosting bi-monthly Fix It Cafes in locations around St. Albert. What is a Fix It Cafe? Exactly what it sounds like: a place to enjoy a cup of coffee while you help something broken get fixed! Bring one or two broken items* and meet with one of our talented volunteers who will repair it/them for you. You are, of course, welcome to watch and learn! By putting creative and innovative minds together, we will save as much from the landfill as we can! *Please note if you need parts replaced, you will have to bring your own new parts (we may be able to improvise with some on hand). Second items for repair can only be done if there is no one else waiting with their first. You will be greeted at reception to fill out a disclaimer and sign in. 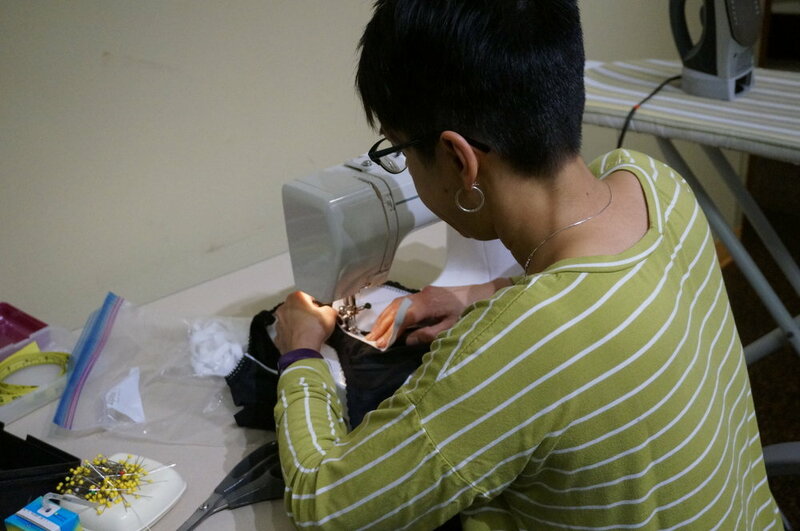 Centers vary but usually include SEWING, ELECTRICAL, BIKES, LAPTOP TROUBLE SHOOTING and GENERAL REPAIRS. There is also a small project table available for jobs you think you can tackle on your own with assorted glues, tapes, sewing material, lubricants, and so on. This station also generally has an inflating device, battery testing, and shoe polishing - and assistance if you need it! Our volunteers and the items brought in vary from event to event, but so far we have saved: a rice cooker, a typewriter, a laptop, an amplifier, mixmaster, radio, tape deck, telescope, indoor fountain, kitchen cupboard handle, dresser handle, alarm clock, shoe rack, lamps, bike tires, teapot lids (silver and ceramic), a speaker, small bench, metal lunchbox, toy crane, baby mobile, a sander, shovels, antique camera, a Blackberry phone, an iPhone, massagers (back and foot), air purifier, kitchen timer, expensive headphones, robot vacuum, blue tooth speaker, sewing machines, an air compressor, many items of clothing and lots of jewelry from bracelets to eyeglass holders to watches and earrings. We’ve also sharpened untold numbers of scissors, knives, and pruners. And the list grows and grows! If you have small consumables at home that you no longer need - like nails, sandpaper, blades, bits, paint rollers, painters tape - please drop them off! If they don't get used at the Fix it Cafe, they will go to the Tool Library for others to take in exchange for a donation. NOTHING TO FIX? CHECK US OUT ANYWAY! Even if you have nothing to fix, we invite you to come out to a Fix It Cafe, pull up a chair and watch how easy it can be to fix things. Ask some questions and meet some great people. 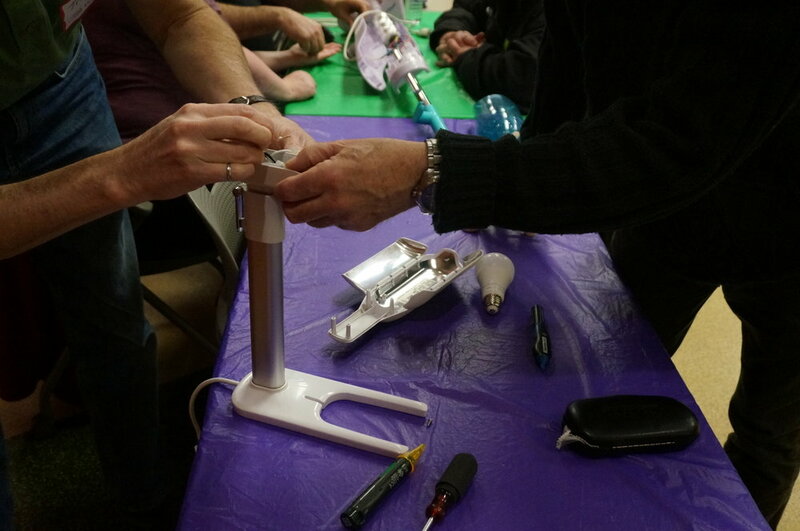 Once you are inspired to tackle a project of your own, you can sign up for a St. Albert Tool Library membership, borrow the tools you need and be on your way. Exciting! Books give us the knowledge and ideas but tools give us an experience and story of our own! Of course any successful event is not without community volunteers! We are continually adding people versed in the art of fixing to our mailing list, so if that’s you, sign up to help out! When an event is scheduled, you will get an e-mail inviting you to join us. If you sew, fix bikes, can do phone repair, book binding, scissor sharpening, tool repair / sharpening, computer troubleshooting, shoe repair/shining, leather work, jewelry fixing, instrument maintenance, small appliance repair, etc., we would love to have you as part of the team. There is such joy and satisfaction in helping others by using our gifts and talents. Volunteers are welcome to bring their own repair tools and any other items then need, or use the public table of tools supplied by the Tool Library.